If it's an appealing and authentic-looking garden deck which requires very little maintenance requirements and is guaranteed to last a lifetime, composite decking is the decking for you! TimberTech's collection of composite deck boards are manufactured combining natural hardwood with synthetic materials to produce a hard-wearing product that offers the same natural look as a genuine wood deck. So, when it comes to choosing composite decking, there's no wonder why we are the number one for many homeowners! Our composite deck boards are available in an array of beautiful colours and styles, perfect for a range of modern outdoor looks and designs! It's not just their appearance that will be of benefit, however, their extremely low maintenance requirements allow you to sit back, relax and enjoy your outdoor space without worrying how to keep it looking good! 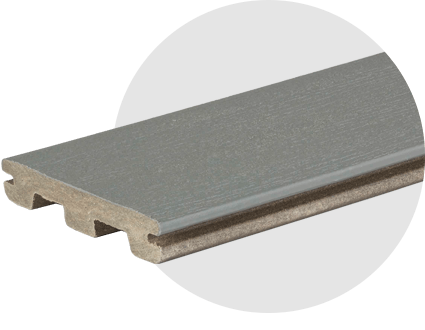 If this sounds like the flooring option for you, take a look at our video to find out how to choose composite decking for your outdoor space. Due to their revolutionary makeup, our composite deck boards requires practically zero maintenance! 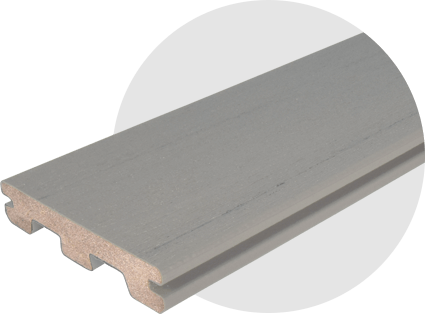 An excellent choice when wood and plastic decking isn't an option, our composite decking will never splinter or rot, and will never need to be sealed, painted or stained!! Created by combining hardwood and a polymer resin, our composite decking is incredibly strong and long-lasting, capable of withstanding all elements. This means you never have to worry about your deck getting damaged from fades or stains. Each one of our composite deck boards is made using the highest-quality materials, guaranteed to last the test of time. All of our composite decking comes with a 30-year warranty, meaning your deck is guaranteed to not rot, decay, splinter or split for three whole decades! Suitable for a number of different designs and tastes, our range of composite deck boards are available in various styles. 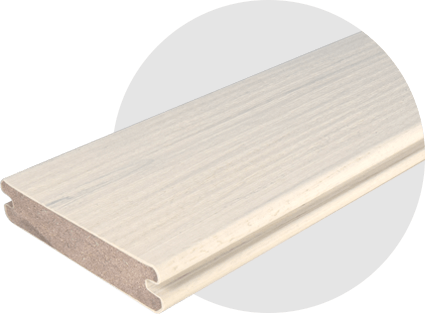 The surface texture also varies between linear wood grain, flat wood grain and grained capped with a fully protective polymer sleeve. With two options available, our boards themselves also vary. Choose from a wood polymer composite, which is non-capped, or fully capped composite for a wipe-clean surface. Depending on how you would like your composite decking fastened, our boards are available in a grooved and ungrooved option. Ensuring you have the correct board is essential to meeting your deck expectations.